Did you find yourself struggling to get into your clothes? Is it time for a new keto diet, weight loss exercise and shaping up? You know you can do it. You already succeeded the last time, and the time before, and even before. You could say you're an expert in getting back into shape. Wait, you can't. You have those ten extra kilos again. Sound familiar? If you are one of those people who is always struggling with weight gain, counts every calorie, who has to work hard to lose some weight, just to put it back on again after a while, you are in the right place. In this book, we'll help you find the root of your problem, and solve it for good. So, when you finally get in shape again, you won't gain that extra weight back. We are going to break the cycle. We'll help you find out what's hidden in the background, and why you repeat the same process over and over again. Once you know what's the cause of it, you'll be able to face the right enemy. 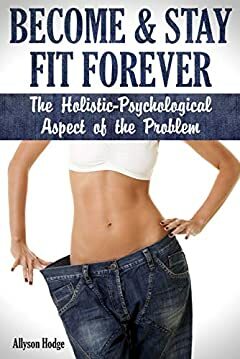 While the traditional approach to weight loss focuses only on the body, calories in versus calories out, like it's a separated mechanism, in this book, we suggest a different, unconventional approach - a holistic one. So, if you want to become and stay fit forever, you should begin from the inside and attach the best practice of weight loss for you. What we suggest as a universal cure for many problems, including weight, is finding inner peace. Once you become happy, calm, mindful, balanced and satisfied, the healthy lifestyle and healthy weight will follow, as a natural consequence of your correct mindset. What's going on in your body What's hiding under the surface? Now scroll to the top of this page, click the «Buy now with 1-Click» button, and BECOME FIT FOREVER!